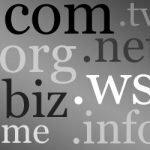 We've just posted some useful information about Top Level Domains on our companion site Rock Solid Info. It's an update of a post written in November of 2013. Wow... There have been a lot of changes in three years. Head on over to check it out. We are updating all of our older posts at Rock Solid Info so you have the newest information.